Happy Friday! Everything about today’s post is short and sweet. This 5 minutes everything sauce is a variation on one that I make on a weekly basis. It comes together in 5 minutes and goes on everything. Well, maybe not ice cream but it’s the perfect topping on all your savory favorites. 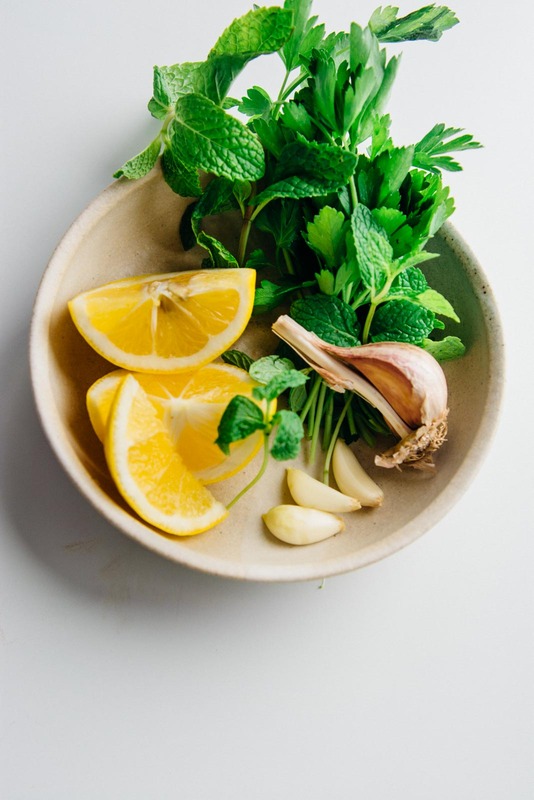 Cashews are blended with lots of fresh herbs, a bit of garlic, a big squeeze of lemon and a touch of nutritional yeast. It’s great on Buddha bowls, steamed or grilled veggies, spread onto a sandwich, layered into a burrito or on top of your morning eggs. 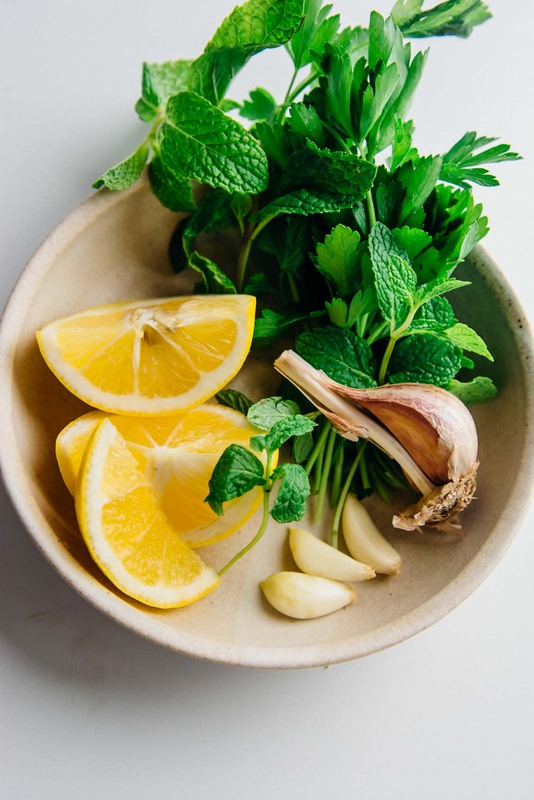 I used parsley and mint for this batch but feel free to experiment with your favorite herbs. Basil and cilantro are also great options and I’ve even made versions with kale or carrot tops. The sauce will keep in the fridge for 4-5 days but we’ve never had it last that long! Have a great weekend and be sure to check in for a new recipe tomorrow! 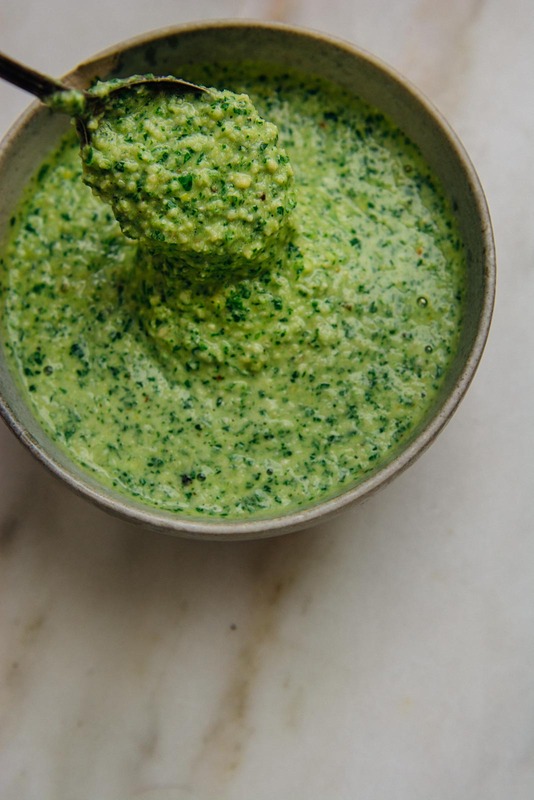 This 5 minute everything sauce is loaded with fresh herbs, cashews, and lemon. It's dairy-free, vegan and delicious on top of all your favorite dishes! 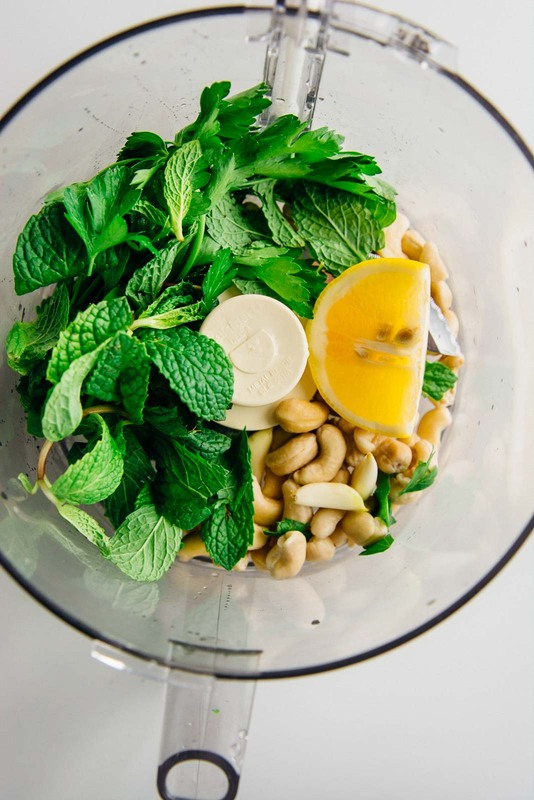 Combine all the ingredients in a food processor and pulse until well combined. Taste and adjust with more salt or lemon juice as desired.